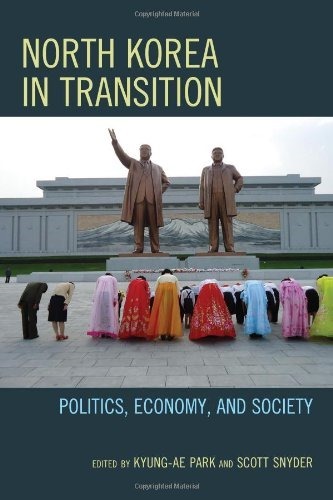 If you want to read an example of the generally worthless state of international relations scholarship, it’s hard to do worse than North Korea in Transition. It’s not that it’s put out by a bunch of cranks. It’s featured by the Council on Foreign Relations. And it’s not that it is not interesting. I highlighted several passages, many of which were thought provoking. But… International Relations scholars, famously, can’t predict anything. The beginnings of wars, the outbreaks of peace, the collapse or emergence of empires — I’m aware of no solid model that can predict these as well as, say, the weather two days from now. But generally, over and over, authors told us only what we already knew, and missed titanic changes under the surface. 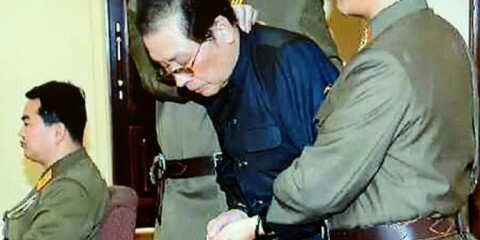 power holders, Jang Song Taek and Ri Yong Ho, under the tight supervision of Kim Jung Il. This isn’t to say the entire book is trash. Chapter 8, “Low-Profile Capitalism: The Emergence of the New Merchant / Entrepreneurial Class in Post-Famine North Korea” by Andrei Lankov is very solid. In fact, it’s probably worth the price of the book. The rest of it ca be tossed, though, unless you want to be a pimp, a tourist, a loser, or an escapee in the academic ghetto. But what should change in Australia? South America? Antarctica? Joacy, M. (2007). Giuliani Visit to London Aims to Bolster Credentials. Wall Street Journal. September 20, 2007. My preference is to keep NATO as a keep-Russia-out-of-Europe club, and build up a Pacific NATO. Still, multilateralizing America’s security guarantee to the geostrategically chaotic states of the western Pacific (Japan, South Korea, North Korea, China, Taiwan, Vietnam, etc.) would not be a bad thing, and Giuliani’s calls to expand NATO into the Pacific are not foolish. While Tom disagrees, this seems to be a case of the great (waiting for a Pacific Treaty Organization that includes all the western Pacific states) becoming the enemy of the good (providing east Asia’s first institutional security guarantee). Both Sara and Mark-Paul are “pan-asian,” the current term for miscegenated East-, Southeast- or South- Asian, often with Caucasian ancestry thrown in. Panasians are particularly attractive for advertisers, because they are recognizably Far-Eastern without being particular to any one group. Beauty now has joined that parade, particularly as a rising tide of mixed marriages, not only in Malaysia but across much of Asia, seems to be creating a new super race of beautiful women. Over the past couple of decades they have taken Asiaâ€™s modeling world by storm and changed the very definition of international beauty. They largely dominate magazine advertisements, fashion shows and catwalks from Singapore to Manila to Hong Kong. Some modeling agencies, like Elite Model Management of Hong Kong, have built their business on the faces of mixed-blood models. The Malaysian modeling and advertising industries are in shock after the government announced it was reviving a ban on the multiracial Asian faces that dominate billboards and magazines. Information Minister Zainuddin Maidin said yesterday that models with so-called “pan-Asian” features were not representative of Malaysian demographics. Pan-Asians are popular in ethnically diverse Malaysia, where advertisers tend to use their neutral features to avoid alienating any customers. A prime example is model and actress Maya Karim, 27, who is of Malay-Chinese-German parentage and is the latest poster girl for L’Oreal Malaysia. A ban on pan-Asian faces is already in force at two government-owned television stations that cater mainly for majority Malays, who form 60 per cent of the population. The announcement on Sunday extended the ban to advertising carried by private television stations, the print media and billboards. The minister said the ban would eventually cover all media, but it was unclear when it would take effect. However, love triumphs over hate, and beauty triumphs over bias. I, for one, welcome our new fembot overlords, and Iâ€™d like to remind them that as a trusted blogger, I can be helpful in rounding up others to toil in their underground sugar caves. Pan-Asian Beauties: work with them now, or for them later. Gruchow, M. (2007). Bringing news to the people: Mongolia honors Sioux Falls man for founding TV station. Argus Leader, 10 March 2007, http://argusleader.com/apps/pbcs.dll/article?AID=/20070310/NEWS01/703100324/1001/NEWS. [Craig] Lawrence, a founder of Sioux Falls-based marketing and advertising firm Lawrence and Schiller, helped start a television station called Eagle Television, based in Mongolia’s capital city of Ulaan Baatar. It was an unexpected offshoot of what started as a Christian missionary effort, he said. Originally, after the communist government fell in the early 1990s, Lawrence was approached by the founder of Campus Crusade for Christ, an organization Lawrence had worked for, to consider a missionary trip to Mongolia. Not long after, 23 Sioux Falls businesspeople and others, including Lawrence, were in Mongolia, doing humanitarian projects including showing a movie on Jesus Christ, Lawrence said. The film, in what had been an overwhelmingly Buddhist nation, caught the attention of men drafting the country’s new, democratic constitution. “We showed the film, and one morning, there was a knock on my door, and when I opened it, there were two soldiers with guns. And they said, ‘You must come with us,’ ” Lawrence said. The soldiers took Lawrence to meet with those drafting the constitution, which would incorporate articles ensuring religious freedom, he said. The TV station soon followed. Today it broadcasts 16 hours of news daily throughout the country. Lawrence, who years ago worked as editor of the Brookings Register newspaper and spent several years in television journalism, said one looming challenge is continuing the education of the next generation of Mongolian journalists. Many of the current Eagle TV staff went through Russian journalism schools or were former employees of the state-controlled television station, he said. It is a constant challenge to keep corruption out of the media, instill journalistic values and try to divorce the Mongolian people from the idea that media was meant only to control the minds of citizens, Lawrence said. Besides doing good works for others, South Dakota has enjoyed the generosity of others, as well. Good: Bush’s State Department (hat-tip to the Democratic Underground) wisely removes a hurdle from even closer Viet-American ties. Washington and Hanoir are natural allies that should speed their inter-governmental, inter-military, and inter-market cooperation. 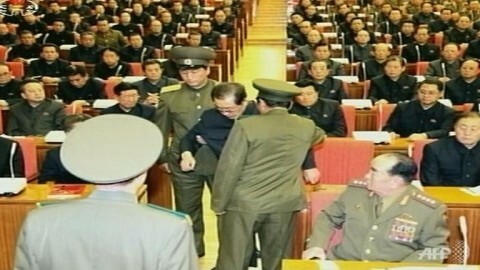 Bad: However, the Congress (hat-tip to The Corner) foolishly prevented Normal Trade Relations with Vietnam. To some Congressmen, know-knothing anti-foreignerism is more important that free trade, free markets, and free minds. Tom has his own thoughts on Viet Nam Sai Gon. “Taiwan: The Tail That Wags Dogs,” by Michael Turton, The View from Taiwan, 26 July 2006, http://michaelturton.blogspot.com/2006/07/taiwan-tail-that-wags-dogs.html. Below is an excerpt from an attack on a report by Rear Admiral Michael McDevitt (retired), of CNA. Admiral McDevitt wrote a report, Taiwan: The Tail That Wags Dogs, for the National Bureau of Asian Research. McDevitt pushes the same fear of Taipei’s influence that some other strategists do, so I am grateful to Michael Truton of The View from Taiwan of highlighting the reports rhetorical slights-of-hand. Instead, Taipei’s new guidelines accepted the PRC as the legitimate government of the part of China that Beijing controlled. This move effectively nullified the underlying premise of the 1972 Shanghai Communique that “Chinese on either side of the Taiwan Strait maintain there is but one China and that it is a part of China.” As Harry Harding has stated, “Taiwan basically abandoned the vision of one country, one legitimate government that had been pursued by Chiang Kai-shek, Chiang Ching-kuo, and for that matter Mao Zedong and Deng Xiaoping.” The 1991 Guidelines for National Reunification softened the political blow of backing away from the old formulation of “one China” by stating that the ROC still envisioned a “one country, one system” future but only when the PRC had become”democratic, free, and equitably prosperous”â€”just like Taiwan. Whoa! McDevitt does not add that prior to the Shanghai Communique the US position was that the status of Taiwan was undetermined (the ethically, democratically, and politically appropriate position). McDevitt does not add that Shanghai Communique was a memorandum of understanding among two governments about the status of Taiwan, neither of whom was the legitimate owner of the island, and none of whom consulted its people about its disposition. If don’t get the consent of those whose lives and property you dispose of, you are hardly in a position to complain if they later decide your plans are worthless. But then the Czechs were not invited to Munich either…. In other words, Taiwan democracy is not the problem here. The problem is that the original plan to sell out Taiwan to China failed to take into account the wishes of the people of Taiwan, and policymakers are now paying the price for their urgent need to enjoy that feeling of Playing God with Other People’s Lives. It was easy in 1972 to anticipate that the Taiwanese would take steps to avoid being annexed by China if given democracy, as that was known to both the Chiang government and to US policymakers (lobbying for Taiwan independence began in the 1960s, and there were numerous public and secret reports that gave accurate accounts of the island’s political attitiudes). McDevitt represents a foreign policy establishment that resembles a man who becomes infuriated that the marriage he arranged for his daughter to make himself rich has been rejected by her. Essentially, this analysis simply blames the people of Taiwan for the errors of US foreign policy decisionmakers. Had the US maintained its original position that “the status of Taiwan is undefined”, it would currently have a great deal more strategic flexibility and it would still retain the moral high ground. It would not be locked into the clearly unacceptable goal of “pushing Taipei into a unification dialogue in order to bring an end to Washington’s 50-year security obligation.” Kissinger, not Taipei, trapped Washington in this moral and political nightmare where it has to sell out a democratic state to an authoritarian dictatorship. Read the whole thing. The Mandate of Heaven is also impressed. Quote courtesy of Catholicgauze over at Coming Anarchy. (Map courtesy of Sun Bin). “Taiwan to Test-Fire Missile: Report,” Reuters, 6 July 2006, http://reuters.myway.com/article/20060706/2006-07-06T090829Z_01_TP235236_RTRIDST_0_NEWS-TAIWAN-CHINA-MISSILES-DC.htmlhttp://reuters.myway.com/article/20060706/2006-07-06T090829Z_01_TP235236_RTRIDST_0_NEWS-TAIWAN-CHINA-MISSILES-DC.html. Taiwan plans to test-fire a missile capable of hitting China, alarming the island’s main ally, the United States, a cable news network said on Thursday. 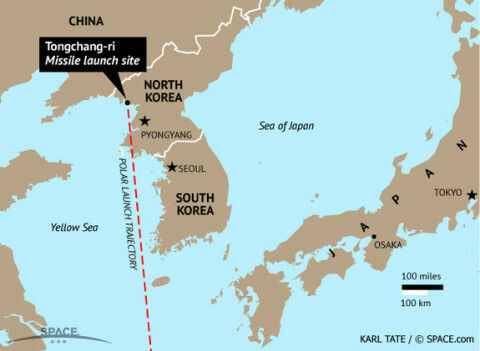 That range would put areas along China’s coast from Fuzhou in Fujian Province to Nan’ao in Guangdong within striking distance of the missile, the Web site said. This is probably a mistake. A much smater policy would combine unconventional warfare and Taiwan’s science and engineering infrastructure. 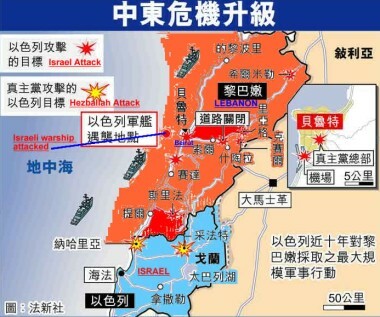 Taiwan should build nuclear weaponry, and deploy bomb-wielding commando teams to the Pearl River Delta, Shanghai, and Tianjin, and Beijing. China may rationally calculate that in a first strike, she can prevent Taiwan from launching her missiles in defense. But if nomadic nuclear Taiwanese patriots were in position in critical parts of China, Beijing would not tempt invasion.